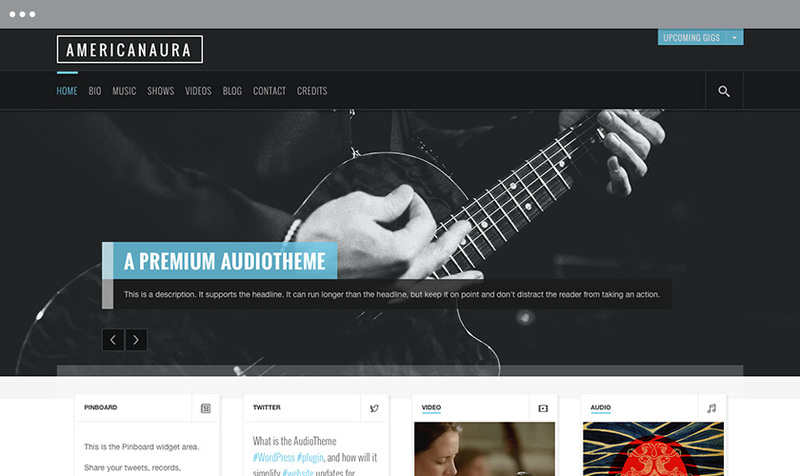 The Americanaura theme is a classy and customizable premium WordPress audio theme that’s easy to use for artists and intuitive for fans. You bring the music, Americanaura will cover the rest. 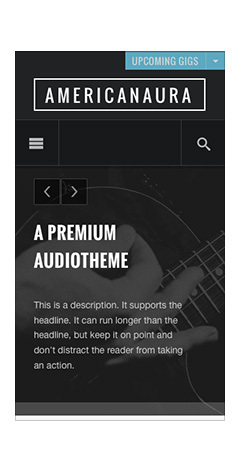 Built on the AudioTheme framework, it has all the functionality a modern musician or band needs to maintain a vibrant web presence. If you make music and you’re not satisfied with your current site, give Americanaura a try. A customizable marquee and pinboard make it easy to feature your most vital content. The theme’s fully responsive functionality means your on-the-go fans won’t miss out on any features. Select songs from your discography to stream in the site-wide jukebox.